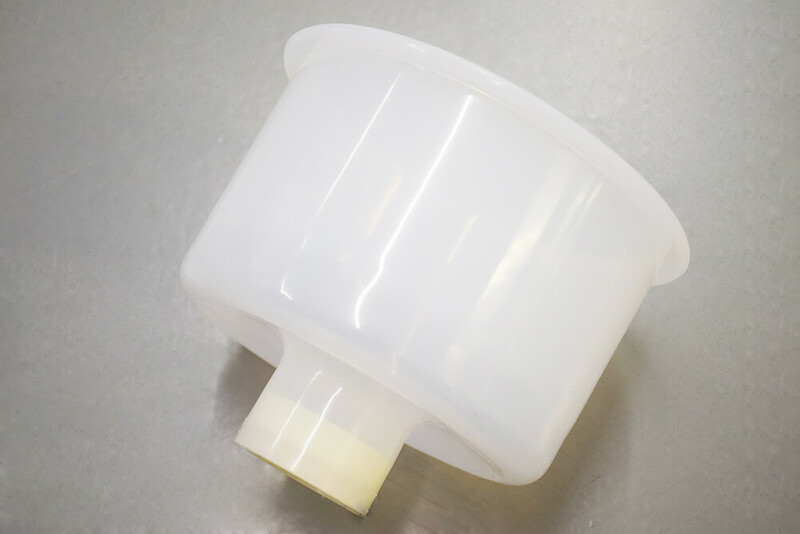 Silicone bowl flexes to keep dust and debris inside and contained, removing any clean up time. 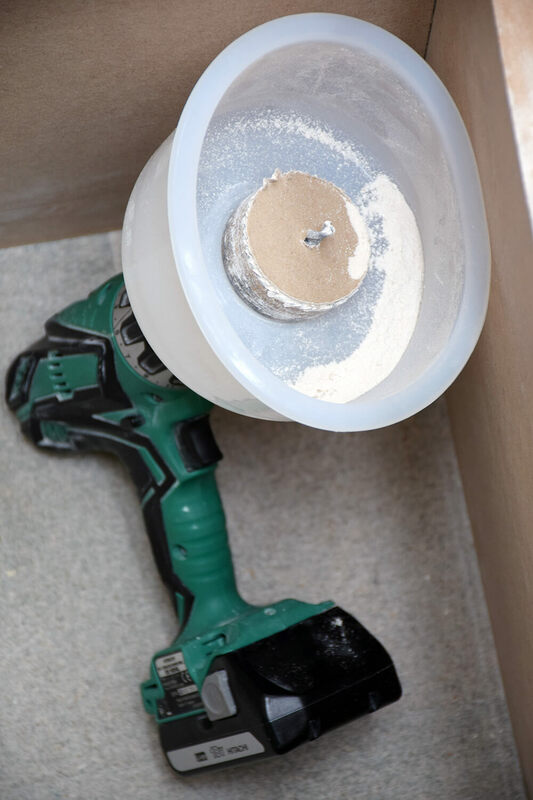 Works alongside holesaw arbour and drill chuck, without any interference and with minimal effort. 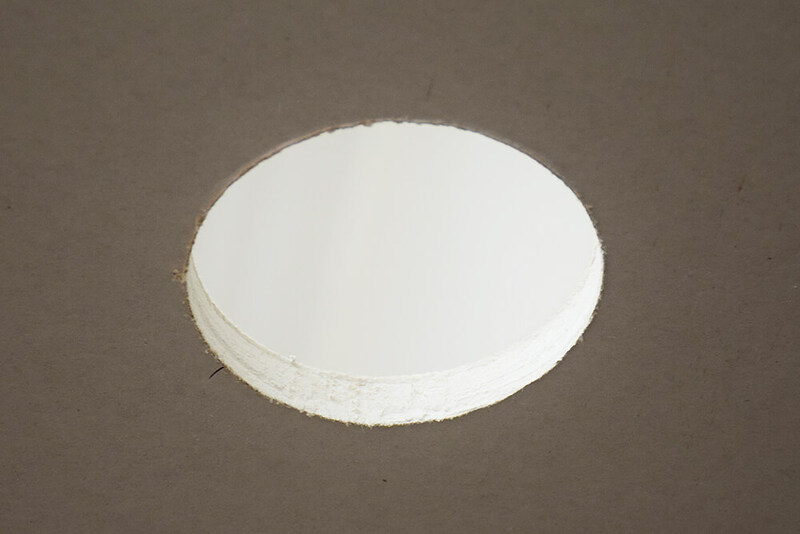 Best used when cutting holes in the ceiling for downlighters, eliminating the need to clean up and the risk of dust spraying. Tidiness and cleanliness on site is very important, especially when working in domestic. 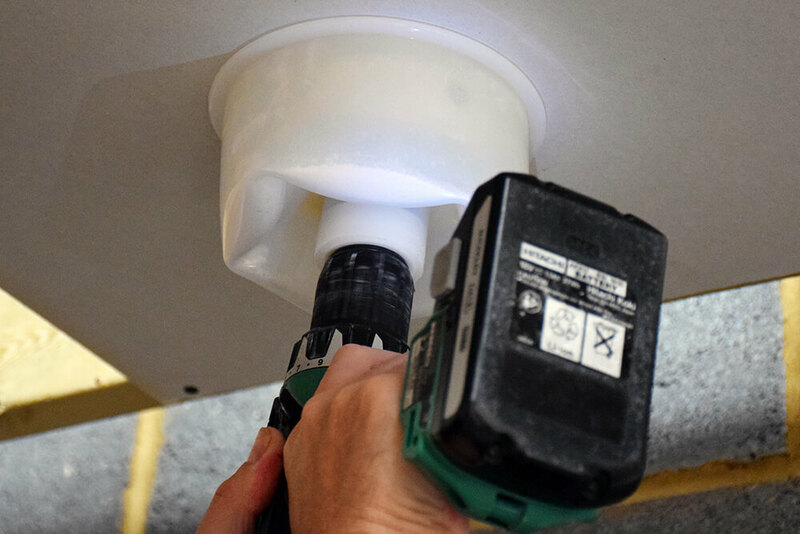 With 61% of homeowners rating tidiness as an important factor when recommending a tradesperson, we’re reviewing a tool that helps target debris and dust. Starrett’s Debris Collector is an attachment that fits onto your drill before you attach a holesaw and arbor shank. The robust, silicone case seals and collects all the dirt and dust inside, removing any potential mess and clear up. 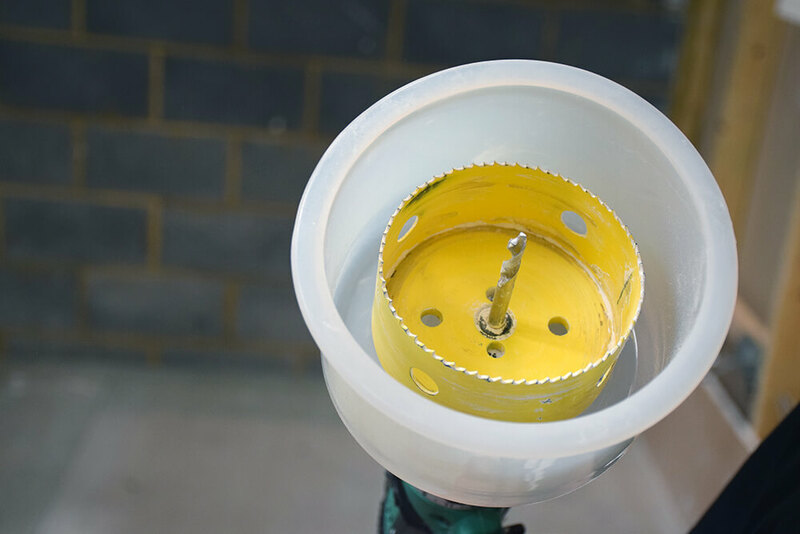 To use, simply hold the debris collector over the drill and insert the arbor shank (with holesaw attached) through the hole at the base. Then press against the surface you wish to cut and saw – it couldn’t be easier! Although the price point can seem expensive, at a retail price of £16 (ex VAT), the item doesn’t feel cheap or flimsy in any way, but rather sturdy. However, the only con we experienced with the item was that the length of the arbor shank can be quite tricky if it is short. “It’s obviously based on Starrett’s tool shank length and is not a completely universal fit for all arbors,” our trainers agreed. 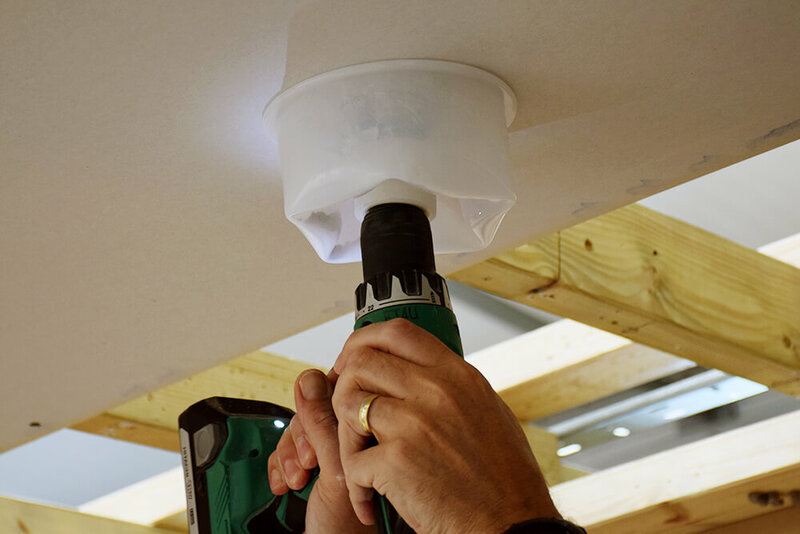 If using another brands hole cutter, the arbor shank will prove difficult to get on.” For this reason, we would have given it 5 stars, had it been a universal arbor fit. Saves time on tidying up dust and debris. 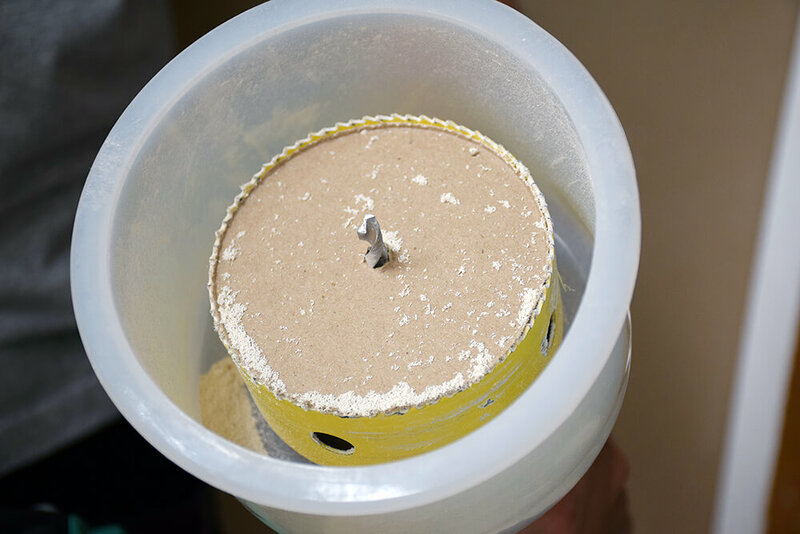 Works well with larger holesaws, with the silicone bowl flexing to fit the surface. 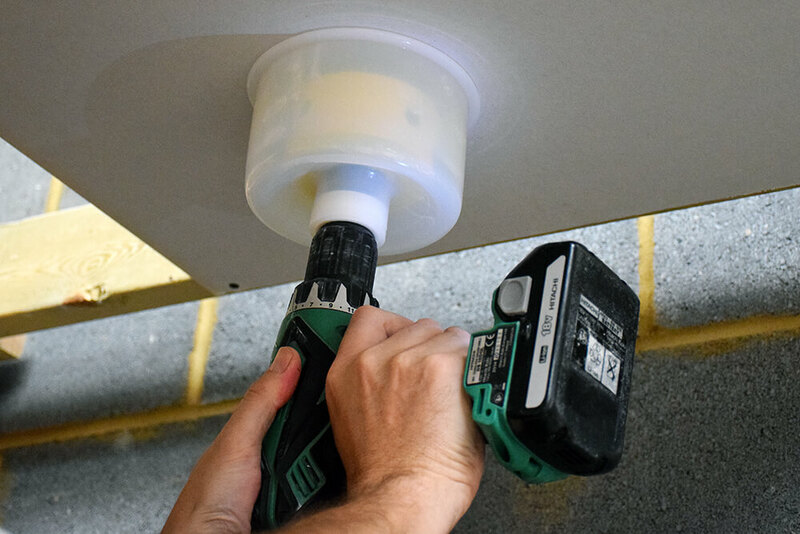 No interference when using with drill, and see through bowl allows you to still keep an eye on holesaw. Length on debris collector for shorter arbors can be difficult to use. It is not a universal fit for all sized arbors. It can be done, but is tricky and a bit risky. 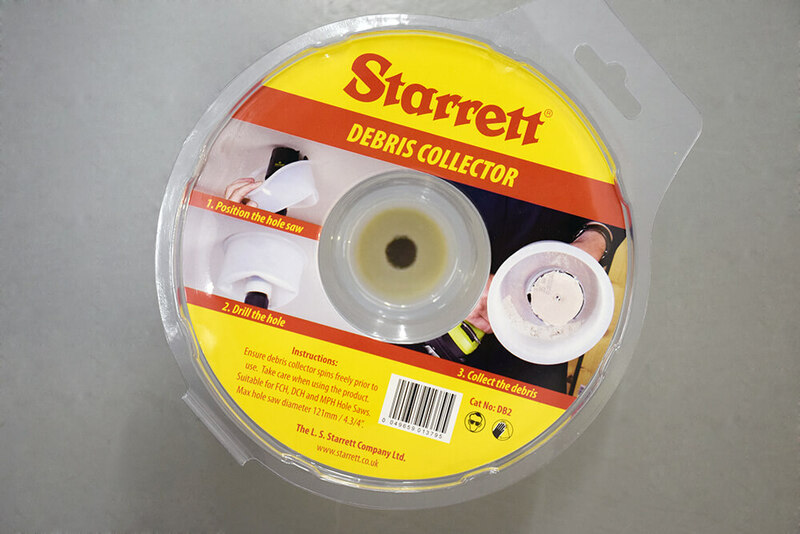 You can buy Starrett’s Debris Collector from reputable retailers and online at Starrett.